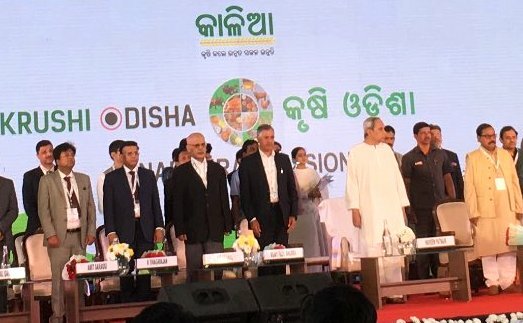 ONI Bureau: Odisha Chief Minister Naveen Patnaik on Tuesday inaugurated the annual farmers’ convention ‘Krushi Odisha 2019’ at Biju Patnaik Ground in Baramunda, Bhubaneswar. The five-day flagship programme of the State Govt will continue till January 19. During the five-day long convention, discussions will be held on various topics including organic farming, fish farming, role of women in agriculture and find out various ways to increase income generation of small and marginal farmers and employment for agricultural labourers. Addressing the gathering, the CM highlighted various benefits of the recently-launched KALIA scheme for farmers which will provide financial aid to 92% of farmers including small farmers, marginal farmers, sharecroppers and landless people.